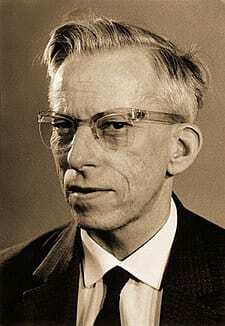 If you asked me who is an interesting person of the 20th century when it comes to the Czech sciences, one of the possible answers would be the name of Otto Wichterle. This inventor has experienced a very interesting life almost like it was a Hollywood drama. 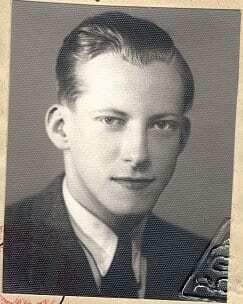 He was born in Prostějov in 1913 as the youngest of three children. At the age of six, as a result of shock, almost drowning in a pond of slurry, he suffered from fevers that did not go down all summer. The family doctor ordered peace on the bed and predicted one year of his life. However, this prophecy was not fulfilled, and after a year when Otto was still alive, and even the fever partially relieved, he and his brother Jan started to study at home with teacher called Vlková. After another two years (when still “dying”), Otto joined the Kollárka General School in 1921. after being examined by the Director in the fifth grade. Here he showed his high intelligence – after being examined by the director, he assigned him to the fifth grade. Then, despite his low age (nine years), he joined the State Gymnasium in Prostějov. His classroom situation was not the best. He was the youngest and the smallest. He also did not have to be friends with street boys. Over two years, his situation has improved. He began to play tennis for which he devoted almost all his spare time. This was negatively impacted on his school results. However, he managed to do his school leaving exams with honor. He liked mathematics and physics in high school. After high school, Otto wanted to go to college. But he did not know what (study) direction to take. All he knew was he wanted to continue with math so he filed an application for engineering. He would join this field of study if he did not tell his plan to his friend Souček. Souček described engineering studies very negatively and recommended him to study chemistry. If this incident was not to happen, the world would probably lose this important chemist. College has given him not only knowledge of chemistry. Otto was also interested in politics here. He was the head of one student chemical association, he was a left-wing creed. He was leftist oriented here mainly because this part of students wanted to improve the teaching at the faculty. In a few years, he has reached a doctorate. His master’s thesis was led by Professor Emil Votoček, an important chemist and teacher of that time and a co-creator of the Czech chemical nomenclature. He also offered him his assistant’s place. Here he worked for a while. In 1939 he began to study medicine for the reason of the emerging field of biochemistry. In the autumn of 1939, universities were closed down because of the Second World War and the occupation of the Nazis. Arrests of university students and professors have begun. Otto then goes to work in the city of Zlín where czech shoes brand Bata is located. 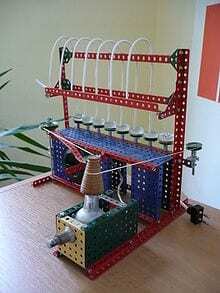 Here he works on research and invented a nylon here, after the war sold under the name Silon. In December 1942, the Gestapo attempted to destroy the resistance. At that time, Wichterle attended regular meetings with Mr. Koutecký, where he listened to classical music and also watched the movements of fronts and news from abroad, but there was never talk of organized resistance activities. Koutecky was arrested first as the commander of this “Resistance Cell”. He was subjected to the terrible Sonderbehandlung (so-called special treatment), but even then he did not divulge any names, and in order to avoid further abuse he hanged himself in his cell. However, the Gestapo brought to his corpse an unsuspecting wife and used it to find out all names. On December 21, Wichterle was arrested, but thanks to luck and correspondence with the German chemist Langenbeck, he was not sent to a concentration camp, but he was only imprisoned for four months. At that time, the Nazis had lost on the Eastern Front and it was clear that the end of the war was coming. With the end of the war, Wichterle ended in Zlín, mainly because his opponents were in the company’s leadership. Shortly after the war (as early as June 1945), Wichterle returned to Prague to find out what the state of colleges was. The equipment remained undamaged, but the state of the building was awful. So he found a different building and began teaching here. He also solved the absence of teaching material. Otto wrote textbook and script in the evenings. In 1958, however, he was dismissed from college for political reasons. At that time communism was already in Czechoslovakia. Otto Wichterla’s best-known invention are gel contact lenses. The first impulse to work on the development of soft contact lenses was his accidental conversation on the way from Olomouc to Prague in 1952. Together with his co-workers, they gradually developed lenses that almost did not irritate the eye, but the yields were still small due to the complex edge grinding so the Ministry of Health canceled the research in 1961 because of it. At that time, Wichterle devised a completely new way of processing the HEMA gel, but because there was no possibility of continuing the realization development on the CSAV, Wichterle began to work with this method at home. At the end of 1961, in his apartment he was able to prove that high-quality contact lenses can be produced at a minimal cost by the method of monomer centrifugal casting in rotating forms. This first lens-making device is well-known – it is a device built from the Merkur children’s kit first with a bicycle dynamo as a motorcycle and then with a gramophone motorcycle. How cool is that? 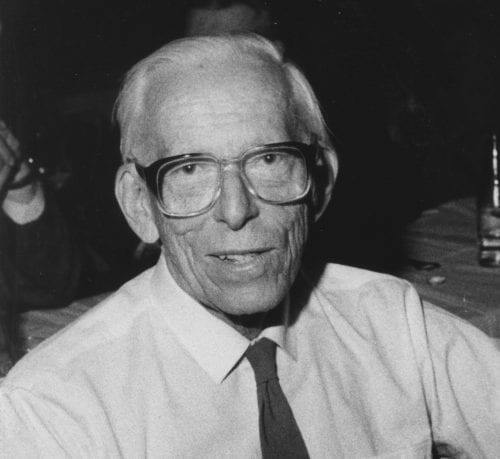 In a moment, both Otto Wichterle and the government came to the conclusion that there was no longer just an improvement in state health, but that there was also a financial potential and his research has been supported again. Since 1963, when production methods have been brought to near-perfectness, interest in, and confidence in, contact lenses has increased. A US response came and after several months of negotiations, a license agreement with Robert Morrison and the National Patent Development Corporation (NPDC) was signed in Prague on 12 March 1965. They established the joint-stock company Flexible Contact Lens Corporation. Bausch & Lomb, one of the most important manufacturers of contact lenses of the day, became their sublicence partner in 1966. When the Food and Drug Administration issued permission to place lenses on the American market in March 1971, B & L’s stock rose sharply to $ 250 million in overnight equity. Although Wichterle had all its inventions securely secured by patents, many companies across America have violated these patents consciously. In the 1970s, the NPDC began many litigation against large companies that violated patents. The main witness was, of course, Otto, whose trip to the US was commemorated by the Communist regime in Czechoslovakia. In February 1982 the federal court, the highest instance, against whose decision was not an appeal, issued a judgment confirming the validity of Wichter’s patents, not only in the US but also in all other countries. Thus, the NPDC gradually collected tens of millions of dollars, which it no longer had to share with the Czech Academy of Sciences, since Czech political leaders in 1977 surrendered their license agreements. The Czech economy thus lost about one billion dollars. Otta was only fully respected after 1989. In 1991 he was awarded an honorary doctorate by two American universities, the University of Illinois at Chicago at Illinois and the Polytechnic University in Brooklyn, New York, in 1993 by Charles University in Prague. 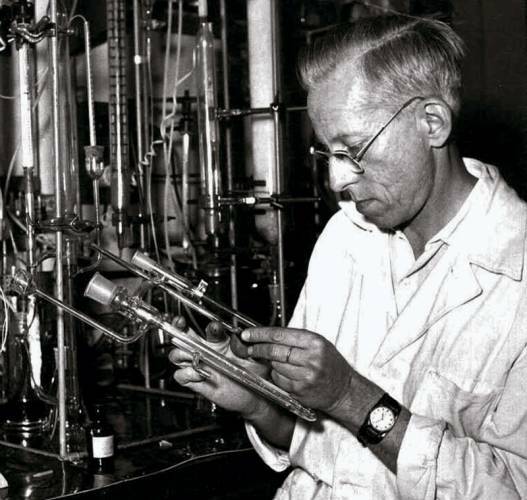 By the end of his life, he had been trying to keep in touch with chemistry, although he could no longer devote himself to work in the lab, he was interested in the industry, and gave advice. Otto Wichterle died at his summer residence in the village Stražisko (Prostejov district) on August 18, 1998, at the age of 85 years. Choreographic genius Petr Zuska and his Solo for the two of us! Zieleniec ski arena – Polish Aspen? Story time – AdAstra café (story and review)! « Dreadful Unnecessary Waste of Supermarket Food!